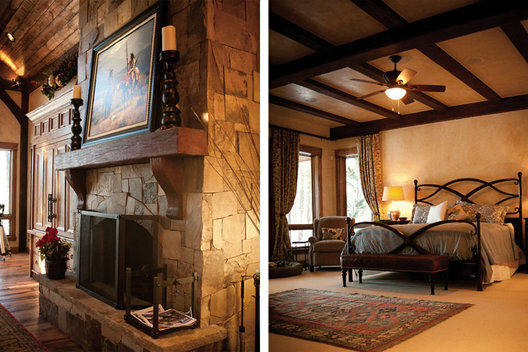 Rustic beams and a hand scraped mantle are among the wood finishes that trim out this mountain home. 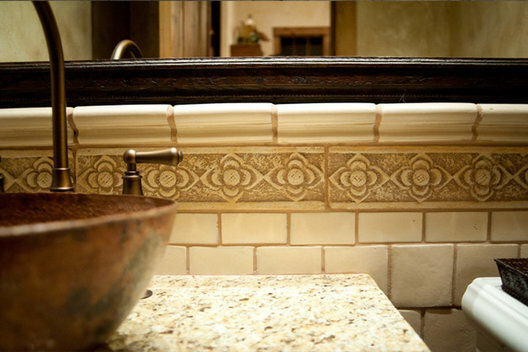 This copper sink and Bronze faucet play off the cream tile for a pleasing contrast. 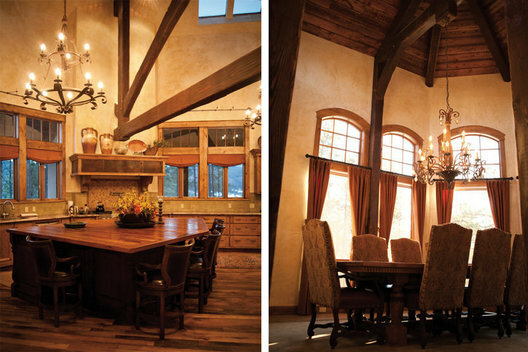 An oversized island is capped with a custom walnut planked top. High ceilings in both spaces created an echo challenge that we solved with carpet squares on top of the cabinets. 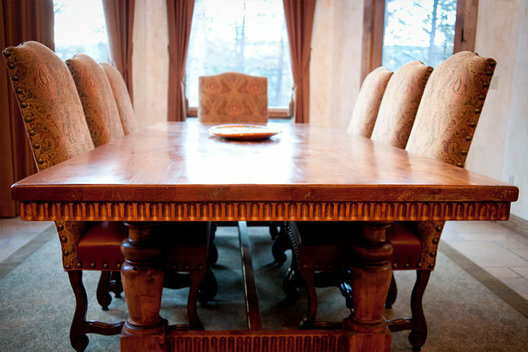 We customized this dining table with carved details and added a custom wool rug at the foot. It is my goal to operate with utmost integrity and generate an environment of beauty that speake to your deepest desires. I want this to be fun for you! 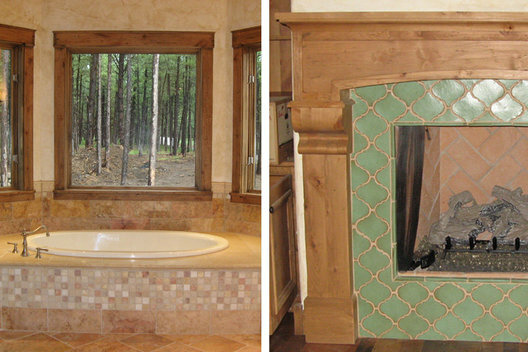 kiwi Green obilesque tile surrounds this custom wood fireplace designed for the office. At left, french ivory and red limestone decorate the tub apron, while the mountain view speaks for iteslf.